I had a hard time deciding what to name these bars. Oat bars? Granola bars? Hemp seed bars? Chia seed bars? Dried fruit bars? Seed bars? Energy Bars? Gluten free bars? Vegan Bars? Or just Oat Hemp Chia Seed Fruit Gluten-free Vegan Energy bars? That would have been too long, right? 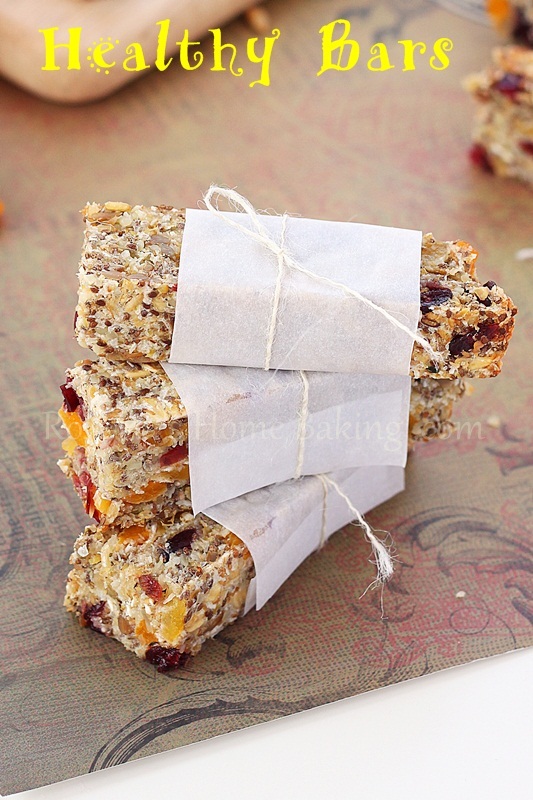 Ever since I shared the recipe for dried fruit and seed bars last year I’ve been wondering how I can make them even better, and by that I mean, less guilty. 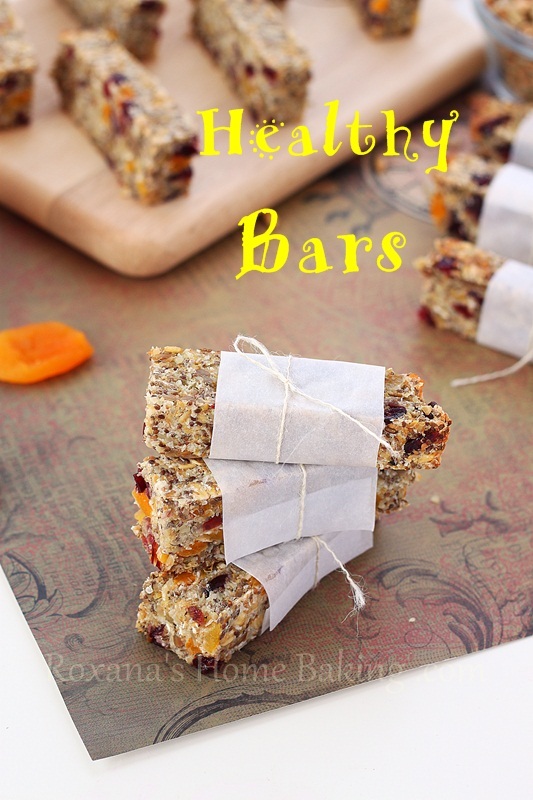 I’ve been doing a couple of variations and although these ones may not be the guilty-free bars since the dried apricots had some sugar added to them are definitely the best energy bars! They are soft and chewy, perfect for breakfast on the go, in your lunch box, after an intense workout or as an afternoon pick-me-up. 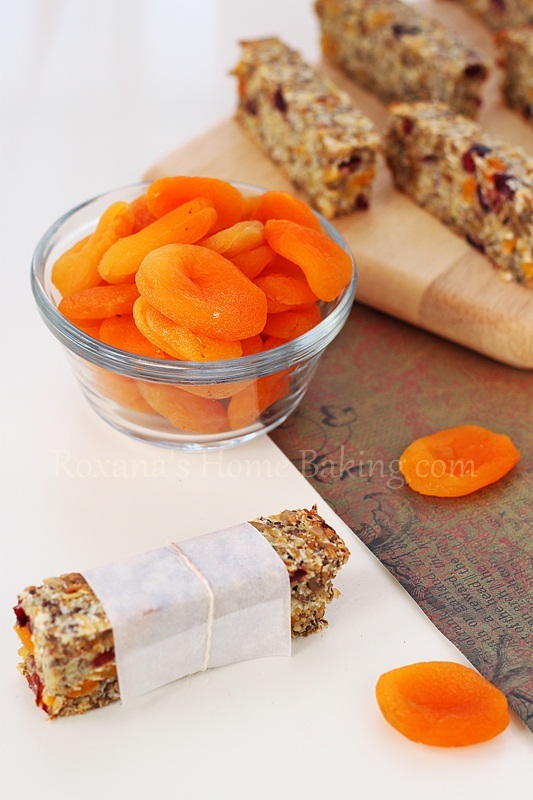 Leaving aside the little sugar from the apricots, these bars are filled with chia seeds, hemp seeds, sunflower seeds, flaxmeal and unsweetened coconut. Hemp seeds contain more of the beneficial amino acids than proteins such as milk, eggs or meat. Hemp is a complete source of protein and is easily digestible. Hemp seed contains almost seven times more omega-3 fatty acids than fish. It also provides an option for those unable to eat gluten, meat, sugar and milk. It is a good addition to a diet for those concerned about avoiding carbohydrates. Healthy snack bars - oats, hemp and chia seeds, flaxmeal and dried fruit packed for a boost of energy. Gluten free. Vegan. Super easy. Line an 11X7 baking pan with parchment paper and set aside. In a small bowl mix the flaxseed meal with the water and wait few minutes until it becomes gelatinous. In a medium size bowl mix all the ingredients with a wooden spoon or spatula until just combined. 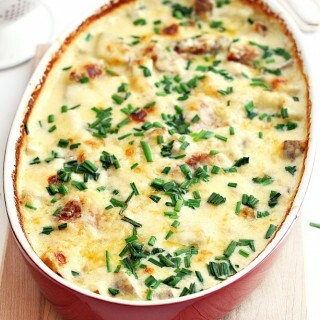 Spoon it into the prepared baking pan and bake for 25 minutes or until set and soft to the touch. The bars can be frozen in an air-tight container for up to a month. These bars look so chewy and good, Roxana! 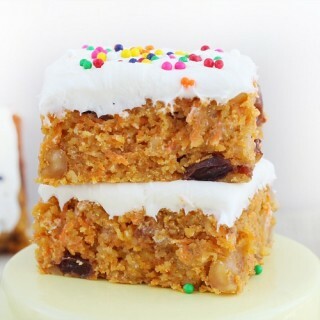 I love the apricots and all the nutritious mix-ins you added. 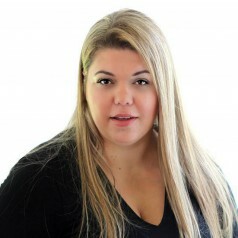 These bars sound wonderful Roxana! They have so much goodness packed into them! 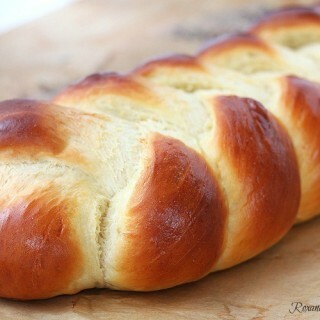 Roxana, like many of your recipes, this is delicious and wholesome! I love granola or energy bars and recently made some myself as well. However yours sound wonderful with all these ingredients. They'll be a nice addition to my backpack while hiking in the mountains. Thanks for sharing. This recipe is so timely for back to school time around the corner. Perfect little lunch box snack! I *finally* bought oats. Okay I'm ready to make snack bars! These look delicious Roxana! I'm so jealous your home is always filled with these healthy snacks. I better make my own snacks. Have a great weekend! Wow, these look great! They are just packed with great stuff! Don't worry, I share your problem with naming things(why is it so hard?! ), but the name of these fits perfectly. I could go for one right now! I know your bars are healthy but I just love the colors! These look wonderful. My son is gluten free and like most serious GF kids he can't have oats though. Any thoughts on what we could substitute that would still hold together right? As I read the recipe, I kept thinking..just water and applesauce to hold them together? Well..color me stunned and excited to try these! You always come up with the most amazing and healthy bars..and I desperately need amazing and healthy bars!! 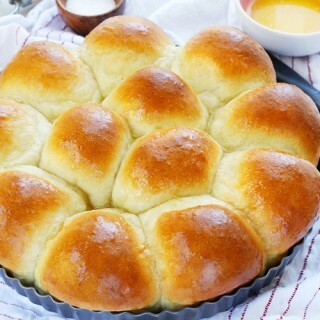 These look so good and easy too! Love the dried apricots! Roxy, those bars seriously look better than any store bought! What an amazing healthy treat! I will have to try making it for my kids school snacks. 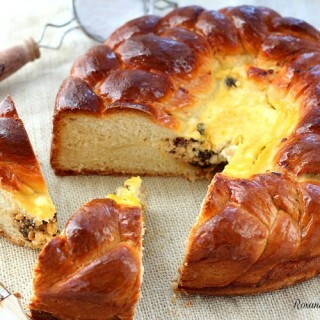 You did as always incredible job from pictures to the recipe itself! Wishing you wonderful weekend! I have been looking for a homemade bar and this sounds delicious. Love how you healthified it even more. I'm checking out those other bar recipes too. Pinned it! can flax meal be substituted with ground flax seeds? i usually just buy them whole and grind them. is the meal the same thing? Thank you Roxana. You are super kind to answer my question so promptly :) I will be making these soon! Love your recipes. I found you through food gawker btw. 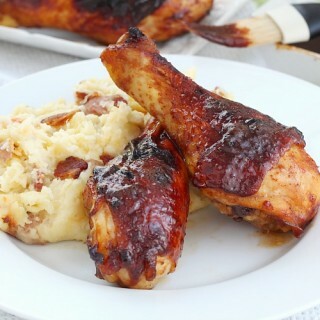 Thanks again for sharing your recipes! Not familiar with hemp seeds. Are they neutral in taste? Either way, thanks for sharing because I've now learned something new! Absolutely stunning pictures, Roxana! Love the shot with the apricots! 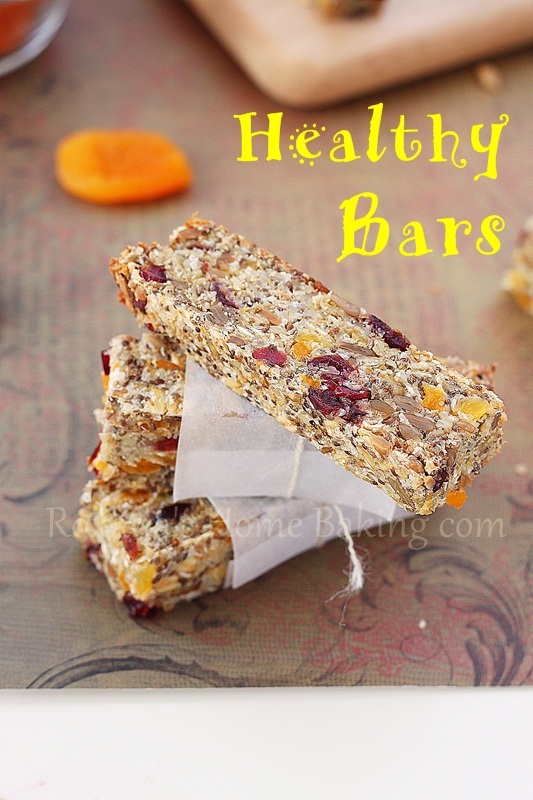 These bars do sound delicious and would make for the perfect snack! 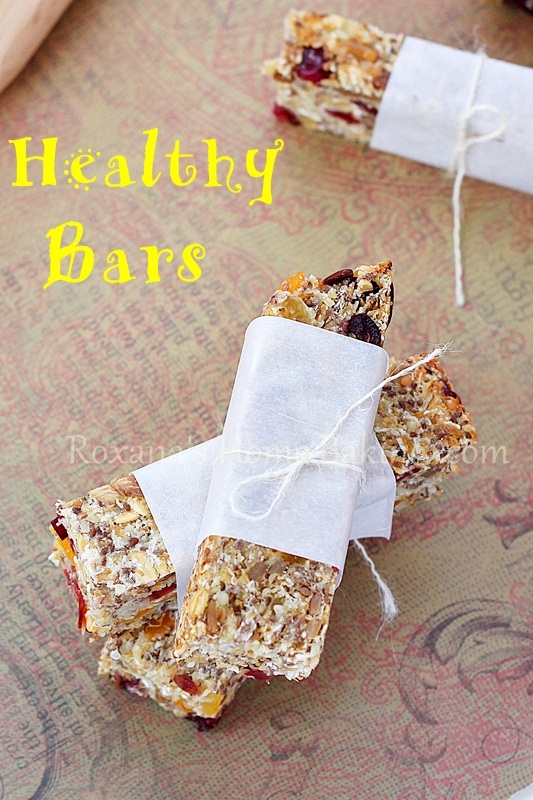 These sound fantastic Roxana - packed with healthy ingredients! Hi, In your recipe, you write to soak the hemp seed until gelatinous? Did you mean the chia seed? Looking forward to trying these! Ok- I just re-read- ignore my question. You wrote soak the flax seed until gelatinous. So the chia seeds are not to be soaked- right? Hi Roxana, Any suggestion on a substitute for "dried coconut"? Thanks! I made these today and they turned out pretty good! I didn't have chia seeds or apricots on hand so I omitted those but I did add dried figs, poppy seeds, and pumpkin seeds. Wunderbar. Jesse Ihre vermeintlichen etwa 90 Gramm Hafer verwenden. Dies sollte Ihnen helfen stark ohne eine Sprachbarriere. Ich hoffe, dass mein Deutsch nicht zu rostig ist. Wonderful. Jesse your supposed to use roughly 90 grams of oats. This should help you greatly without a language barrier. I hope my german isn't too rusty. I am not sure where to buy hemp seed, any ideas please? Thanks for that, I'm in Australia. I checked my local health food store this morning but no luck. I may just substitute. I'll let you know how they go. 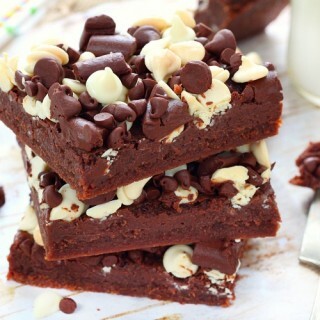 Can you make these with almond meal/flour? I don't have any flaxseed meal. I'm excited to try these! Just made these for a healthy snack for my family. Used fig and cranberries for my fruits and put in some slivered almonds since I didn't have hemp seeds. Great recipe, thanks! Can't wait to try these! About how many bars does it make? I want to try and calculate the calories per bar. Also, is the "dessicated" coconut the same as powdered coconut? Thx! Great recipe Roxana. I was very skeptical about how they would turn out. I believe I have found my granola bar recipe. I added 3 tablespoon of almond butter and 2 tbsp of natural honey. Delish. Just the right amount of sweetness. Thanks for sharing. I just put a pan in the oven...I used a 13x9, since I didn't have an 11x7 and I also added a few chopped pecans. 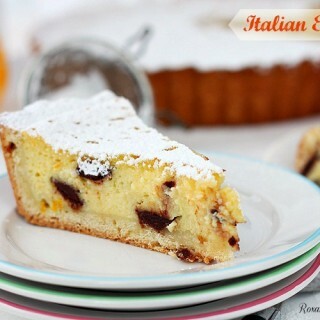 Hi Roxana, I was just exploring the site and soon came across this wonderful recipe. Definitely want to give it a try soon. Wonder what the nutritional value per serving is? Hi Anna, I do not offer nutritional value to my recipes. I know there are a few websites who can help you find out the nutritional value, but I can't tell you for sure which one is the best. I do not offer nutritional info to any of my recipes.